One of the amazing things about young children is their ability to adapt and absorb language almost effortlessly. That said, it will take a bit of time for your child to understand all of what is being said in Spanish. This does not mean that he/she will be traumatized. LAMB classrooms are highly visual and tactile, and there are opportunities for your child to grow and develop while also learning Spanish. The multi-age classrooms allow children to learn from each other and the older children often serve as translators. Teachers are bilingual and they understand children’s wants and needs, and the during the first months they are more conscious trying to connect with the child emotionally. Once there is a connection, teachers make the effort to completely respond in Spanish so they can begin developing bi-literacy. How and when is English taught? Primary classes receive Spanish instruction in the morning and English instruction in the afternoon. Students, typically those who nap, receive only Spanish instruction. The goal is to immerse children into Spanish for the first two years and have one person in the classroom who only speaks Spanish to the children at all times. The English instruction focuses on Kindergarten literacy. What steps are taken to help 3 year olds adapt? The school provides parents and new students the opportunity to meet with teachers before the school starts. The first week of school is an orientation week for new students. There is an option to have the students attend half day until they have completely transitioned into the classroom. Families who preferred to start with half days, need to pick up children no later than 12:30 pm. What should I do if I have a concern about my child's progress? If you are concerned about your child's progress you should first reach out to his/her teachers, who are always willing to speak with you and eager to know how they can help. If your child needs a comprehensive intervention for any social, emotional or academic challenges; parents, teachers or LAMB staff could initiate a Student Support Team (SST) Plan. Through an SST LAMB staff collects classroom observations, student work samples, behavioral data, and/or a parent request that indicates that a student needs additional intervention and support. With data in hand the team develops and implements a plan for six weeks. If the child shows progress the plan is evaluated and modified to take the child to the next level. If the child shows no progress, the special education coordinator meets with parents to explore a more comprehensive evaluation plan to find the best way to meet the needs of your child. How can I reinforce Montessori education at home? Why does LAMB teach the children cursive at age 3? LAMB uses cursive writing in Spanish and print writing in English for all materials that teach children reading and writing. This separation supports the Montessori method of creating whole works and the ability of the hand to create curves for writing as a natural process of the hand. The difference gives children a clue for separating English and Spanish. However, 3 years old children start by using Practical Life materials. These Practical Life lessons introduce the child to what they need to care for themselves, their environment and others. They also begin the motor preparation of strengthening and training the child’s hand for the complex action of holding a pencil and writing later on. These lessons and materials help the fingers develop strength and ability to stay within a certain space. The set-up and execution of the materials reinforces the movement of left to right that is necessary in reading and writing. Examples of the Practical Life exercises include folding, spooning, pouring, dusting, table washing, polishing and cutting. While working with the Practical Life materials, young children are also introduced to the Sensorial Materials. These materials also help prepare the child’s hands to properly use the pencil. In this way, we prepare the child’s hand to write, long before a pencil is given. Children can enter the classroom starting at 8:20 am. They start the first work cycle that includes a circle time at the beginning or the end. During this long period of work children have the opportunity to eat at the snack table (4 children at a time), select work, receive lessons, work independently, work in small groups, and participate in a circle activity where they review the calendar, weather, movement, grace and courtesy lessons etc. They transition to either playground or lunch, and finally to their afternoon work cycle. Children who need to nap are taken to a different space to rest. The afternoon instruction focused on English literacy targets Kindergarten aged children but all students are encouraged to participate. How does the first week of school work? Preschool and new PreK students start their first week with a half-day schedule, a day after classes have begun for returning students. Returning students begin the school year with a full day schedule. Specific schedule will be distributed before the school year starts. Why are the class sizes so big? Maria Montessori's philosophy and practice is that children learn best from each other. To this end, she built a model where the ideal class size is between 24 and 32 children specifically so that children will turn to each other instead of only to the teacher. I'm worried about my 3 year old being in the same class as 6 year olds. What is the reason for this, and what can I do to smooth the transition for my child? Children learn from one another by observing and interacting. Young children learn higher level cognitive and social skills not only through mental development, but also by observing others as models. Multi-age grouping helps children develop a sense of community and supports social development. Children work at their own levels, which may vary in different curriculum areas. Groups are flexible and often differ depending on interest, subject matter, and/or ability. Curriculum and materials are multidimensional and concrete. Children re-explore the same materials at different levels. Children who are given the freedom to interact with children of different ages build a sense of themselves and a sense of confidence that provides a foundation for them which will help them move through life with the belief that they can try new things, and not be afraid of stepping out of their comfort zone. What communication can I expect regarding my child and the class in general? A full description on the various types of school communication can be found in the Parent Handbook. To communicate with teachers, you can call and leave a message to be return at the end of the day for non-emergency circumstances. If there is an emergency that needs immediate attention from the school, please contact the front desk and someone will be able to help you. Teachers will return e-mails at the end of the day. There are three parent teacher conferences per year, and/or you can make an appointment with the teachers if your have any concerns. For non-emergencies you can also leave a note for the teachers or talk to them briefly at drop off or dismissal. Why does my child need to keep slippers at school? The transition from outside into the classroom is important in the Montessori pedagogy. Removing outside shoes and putting on their classroom shoes helps students transition their focus to learning and develops independence. Soft soled or rubber soled shoes are preferred. All shoes must have heel coverage. When will I learn who my child's teacher is? About a month prior to the school year beginning parents will receive important information about the school year. This packet will include your child's assigned community, along with the teachers' names. First-year families will be invited to a one-on-one meeting with the teachers prior to the beginning of the school year. What other supplies will my child need? You will receive a supply list prior to the start of the school year. Most supplies are shared within the classroom. Teachers may ask parents to volunteer to provide additional supplies or specific items throughout the year. How much help will my child get at lunch time? At LAMB, we strive for children to be independent and self-aware. As a part of that growth, we encourage children to eat on their own. However, teachers realize that eating lunch at school is a transition for many children and they are there to help ease the transition. They will help your child set up his/her lunch and will circulate the room while children are eating and encourage them to eat. However, you should expect that your child will need to develop habits of eating independently, and he/she will not have lots of attention each day. If you have specific concerns, do not hesitate to bring them to the attention of your child's teacher. If a child routinely does not each lunch, the teacher will bring it to your attention. If eating less lunch is only an occasional event, teachers will not bring it to your attention. Many parents have had success talking about the different menu items at the end of the week to learn which foods their children prefer and which they do not. The Teachers will encourage your children to eat, we can not force them eat. Why doesn't the school supply a snack? What is expected in terms of providing a snack? Families are expected to contribute approximately one snack a month for 28 students in the class. This snack must be Nut-free (no nuts of any kind) and should be something healthy, such as fruit or yogurt. Please provide the snack as "ready-to-eat," for example, if bringing fruit bring it apportioned for the children. Teachers will also provide you a list of appropriate snacks and rotation schedule for the classroom. How does nap time works? Children who nap go to the "nap room" from approximately 12:45 - 2:30 each day. They are provided with their own cot. On Mondays, parents send a sheet, pillow and small blanket with their child in a bag clearly labeled with the child's name. These items are sent home each week for washing. It often takes a couple of weeks for a child to get used to sleeping in the nap room, which is likely a bit lighter and noisier than a child's bedroom at home. This transition time is normal, and earlier bedtimes the first few weeks of school can help ease the tiredness. If your child doesn't nap, he/she can go back to the classroom and participate in the classroom lessons. School follows individual children’s need for nap, and they all different. If children are consistently awake after 45 minutes of rest, they will be transitioned to the classroom. At the same time, if children are falling a sleep in the classroom, or they cannot function because they are tired, they will be sent to the nap room. My child needs help using the toilet. What can I expect? LAMB is a school and some children are not developmentally ready to be in a school environment when compared with the individualized attention they receive in a daycare facility. School staff will work with the family as a team to develop a plan that will enable the child to use toilet facilities successfully. However, many 3 year olds, even those potty trained for a year, experience accidents during the and learning how to pay attention to his/her bodily needs among the many fun and exciting things happening in the classroom. Do not distress if this happens to your child! Simply ensure that he/she has at least 2 changes of clothes, including underwear available at all times! How do before and after care work? LAMB offers fee-based extended day programming for all students. Before-care services begin at 7:30 am. Before-care students engage in quiet play and are served a balanced breakfast. After-school extended day programs runs from the end of the school day until 6:00 pm each evening. Students are provided with a snack and a recess break in addition to academic and cultural experiences designed to help the students develop as bilingual learners. 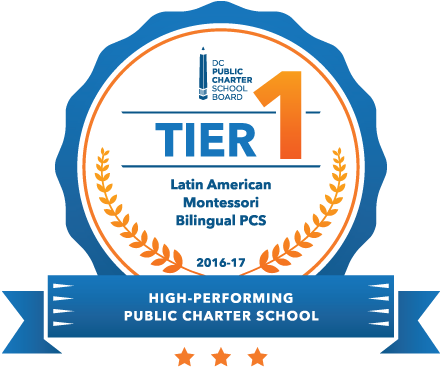 For students in pre-school to first grade, the extended day activities occur in a full Spanish Immersion program. Families are given the opportunity to enroll at the beginning of each school year. To enroll once the school year has begun the Extended Learning Day Program Coordinator should be contacted. You can also apply for reduced fees if you receive free or reduced lunch. What do I do if I arrive late or have to pick up my child early? Do I need to do anything if my child is absent? If you arrive late, you must sign in at the front desk and pick up a tardy pass. You will also sign in at your child’s classroom and hand the tardy pass to the teacher. If you need to pick up your child early, you must inform the school in advance by phone or in writing (email Missouri: frontdesk@lambpcs.org and South Dakota: frontdesksd@lambpcs.org). When arriving to pick-up your child early you must sign them out at the front desk and obtain an early dismissal pass. You will then sign your child out from the teacher’s roster and hand them the early dismissal pass. If your child is tardy or absent due to a doctor’s appointment or illness it is very important that you provide correct documentation to the front desk. What opportunities exist for family members to volunteer at LAMB? To help ensure LAMB meets our ambitious objectives, we rely on parent participation. Parents/ guardians are asked to serve a minimum of 30 hours of volunteer service per family. Parents may assist in the classroom, serve on parent committees and/or assist with special events, such as field trips, book fairs, and school celebrations. Parents are encouraged to share any hobbies or special interests with the child's class and/or the school. Parents should contact their child's teacher to make arrangements for such visits. For more information on committees and/or volunteer hours, you should contact the LAMB office. What tips do seasoned parents have for helping children adapt to and thrive at LAMB? One of the most common things heard from parents whose children have had a good experience at LAMB is to give the transition time. While it will feel hard to do, there is little that parents can do to speed up the transition process. For some children, the process takes as little as three weeks, for others it can take three to four months. If you are anxious, reach out to your child's teachers and other LAMB parents. Scheduling play dates with classmates can help your child feel more comfortable around his/her classmates. At LAMB, we focus on meeting the child where he/she is at and meeting his/her unique needs as they are expressed. Teachers want to know how to help your child and see parents as vital partners in your child's growth. Be sure to reach out and share any concerns you have. What is a peace ceremony? Should I attend? Peace ceremonies are opportunities for classes to showcase what they are learning in song and dance. They center the school on the culture of peace and respect for environment and each other that is critical to the Montessori model. Families are encouraged to attend and often come to watch the ceremonies and celebrate their child's growth and performance. The ceremony is also broadcasted live online. I want to celebrate my child's birthday with his class. What do I need to do? As a Montessori school, LAMB has a special way of celebrating birthdays. In the primary classrooms it is an educational and special moment for the child. Please make sure you talk to your child's teacher about birthdays to make the celebration a wonderful experience for the child. What does homework look like in the Upper Elementary classroom? The students have roughly thirty minutes of homework each evening (English, Spanish, and Math combined). Homework is usually due once a week. Six times throughout the year, the students have longer three-to-four week English/Math homework projects to complete instead of a weekly homework assignment. Similarly, in February, March, and April, the students have a longer Science Fair project in Spanish to complete as homework instead of their weekly Spanish homework assignment. What if my child cannot complete his homework independently? If this is the case, please contact your child’s teachers! The Upper Elementary teachers have adapted homework packets for students who need more support. What if my child is simply not interested in the homework? If this is the case, do not worry. Please spend an evening sitting down with your child helping her develop an idea for an alternative homework project/assignment that will be of interest to her and will take roughly thirty minutes each evening. As soon as the project idea is developed, have her submit the proposal on paper to her teachers so that her teachers can approve the alternative homework assignment. If your child is not interested in the assigned homework, it is important that we continue to promote homework responsibility through the child’s own proposals. What happens if my child does not bring the homework completed on the day it is due? If this happens, we will discuss with your child what her plan is to complete her unfinished homework. Possibly, she only needs an extra evening and can turn the homework in the next day. Maybe, she needs extra support and would like to stay in during recess or after school to work with a teacher on the homework. We have seen that in Upper Elementary allowing students to learn what support they needs to complete their homework successfully is a valuable lesson. If your child consistently brings her homework late, we will speak with your child and contact you to make a plan so that incomplete homework does not become habitual. My child is bringing home additional work besides his regular homework. Are there assignments in the Upper Elementary classroom and if so, why is my child working on them at home? Yes, there are more assignments in the Upper Elementary classroom than in the Lower Elementary classroom because the students are at a different developmental stage. For much of the school year, your child will be a part of an official “Literacy Circle.” Each week for this group, your child will read assigned pages from his novel, and will bring to his group a follow up assignment that usually takes about an hour to complete during the work cycle. Additionally, the students have specific work to complete each week for Writer’s Workshop. Lastly, there is follow-up work in Spanish vocabulary and grammar that the students are given to complete during the Spanish work cycle each week. At times, the Special Education Teacher may provide additional work specific to students with special needs, but parents will be notified ahead of time. For each of these assignments, your child has the entirety of their work cycles for an entire week to complete the assignment. If your child is working on the assignment at home, it is most likely that your child needed additional time, is using the ARC independent reading time to complete the reading, or possibly did not manage his time well during his eight hours of the language-specific work cycle. It is also likely that your child is beginning to understand the importance of demonstrating his responsibility by having assignments completed when they are due. If this is consistently a problem, the teachers, parents, and student will sit down and discuss the student’s work plan for the work cycle. Twice a week, the students spend an entire hour writing. In September and October, the students learn to create outlines, complete research, write a five paragraph research essay, and prepare Going-Out Proposals. In November and December, the students study poetry and literary devices, followed by learning to research and write a piece of historical fiction. In January, the students write a literary analysis essay, while in February and March, the students work on persuasive writing. After Spring Break, the students begin creating the Piscataway Post, in which each student submits an article, comic strips, photographs, crossword puzzles, and advertisements to our class newspaper. My child received a consequence for not acting responsibly. Why is my child receiving a consequence at a Montessori school like LAMB? Freedom and responsibility are guiding principles in a Montessori classroom. A child has the freedom of choice and movement as long as she or he acts responsibly. Acting responsibly means acting respectfully towards self, others, and the environment. In the Upper Elementary classroom, teachers implement LAMB’s school-wide consequence ladder. If you have questions or concerns about how the school-wide consequence ladder is implemented in Upper Elementary, please contact your child’s teacher. Step 3: The teacher states the desired behavior (and why it is important) and explains that at the next step there will be a natural consequence. (e.g., “We need you to put your material away now since putting materials away makes our community orderly or we may need to do this at another time, Maria.”). Step 4: The teacher states a consequence as a clear choice. (e.g., “You can help pick up the material now, or you can stay inside at recess and help clean up the classroom.”) Conflict that creates a significant interruption in the learning process or a threat of physical aggression can bypass the first three steps. Step 5: The teacher follows through with the consequence. (e.g., The teacher lets other children go out to play while Johnny remains inside until he cleans up the room.) At LAMB, we ensure that the consequence at this level is developmentally appropriate. Step 6: If a student appears unable to de-escalate and continues aggressive or disruptive behavior, the student is brought to an available counselor or administrator for intervention. Once calm, the student has the subsequent consequence clearly and concisely explained to him/her by the counselor or administrator. At this level, the parent is contacted by the administrator/counselor. Step 7: Consequences such as suspension or expulsion of students are applied at the highest step. These consequences are only administered by the principal or executive director if the safety and security of people and/or the environment have been violated or if there is a real and imminent threat to students and/or staff. Why is my child staying in for recess? One reason your child might have not received the entirety of her recess is because she reached the fifth step in the school-wide consequence ladder, as described above. Alternatively, if your child is staying in for recess, it may be because she chose to stay inside. As Upper Elementary teachers, we encourage kids to run around. We encourage kids to go outside. We also encourage kids to make sure their work is done on time. When a child has not completed her work on time, we ask the child when she would like to complete the work or make up the work. Some children say that they prefer to complete the work at home, a little each evening. Some children say that they prefer to stay in for recess so that they can complete the assignment in one sitting with some assistance. Your child has the freedom to decide and the responsibility to complete her work. Freedom and responsibility are two crucial aspects of the Upper Elementary classroom. If we notice that the same child is choosing to miss recess often, we speak with the child and contact the parents to make a plan so that missing recess does not become habitual. Why are the Upper Elementary teachers exposing kids so young to historical and current injustices? In Montessori philosophy and curriculum, children begin entering difficult parts of history while still in the Upper Elementary community. This is because children at this age have a deepened sense of justice and begin asking questions around injustice, historical and present. The teachers work very carefully to make sure that these conversations are entered into respectfully and safely, at a level that is age-appropriate. The teachers talk candidly as a community about the injustice, and the difficulty of studying these parts of our history, but the teachers also talk about the necessity of studying these parts of history. The teachers hold a safe space for children in these conversations, and are always open to any other resources that parents may have to offer. If you would like to be informed when specific topics will be discussed within the community or small group, please contact your child’s teacher. *The presentations used to explore these topics with the children are available from their teachers. My child referenced a Community Meeting. What is a Community Meeting? Once or twice a week, the Upper Elementary students sit in a circle to participate in a 30-45 minute Community Meeting. The Community Meeting is lead by the students. The Community Meeting begins with the lighting and passing of a candle. The Community Meeting continues with each child sharing his gratitudes and worries. A problem observed by the children is then brought before the group and the community brainstorms solutions to the problem. Ultimately, the children vote on the best solution for the community problem. The Community Meeting is a revered space within the Upper Elementary classroom. I want to understand more thoroughly the environment of the Upper Elementary classroom. What should I do? The Upper Elementary teachers love when parents come and observe. Watching the student community engage in the learning process is helpful in understanding this unique level in your child’s education. To have the opportunity to observe your own child in your child’s learning environment might also offer insight as to how you, as a parent, can best support your child as an Upper Elementary student. Observation allows parents to see how the Montessori philosophy is executed at an Upper Elementary level. Additionally, the Upper Elementary teachers welcome conversations regarding questions, suggestions, or concerns. Many parents have found it to be beneficial to bring their concerns directly to their child’s teacher. In this way, the parent is able to have a fuller understanding of the context of their concerns and is able to ensure that their concerns are heard by their child’s teacher. Many parents have also found it to be worthwhile to provide relevant suggestions or connections to their child’s teacher. These suggestions and connections allow the Upper Elementary teachers to be aware of resources of which they might not have known. As always, if you have any questions about how to remain connected to LAMB and the Upper Elementary community, please talk with your child’s teacher. The Upper Elementary teachers love parents who are involved!